Last night we went along with our friends at Tech Digest to see the premiere of Sky 3D’s latest movie, The Bachelor King 3D. The movie tracks the trials and triumphs of a King penguin from adolescence to adulthood and it’s narrated by natural history legend, Sir David Attenborough. You’d expect nothing less from an Attenborough flick, but The Bachelor King 3D, shot on the sub-Antarctic island of South Georgia, is particularly beautiful, in no small part thanks to the 3D work employed. From underwater chases with Orca whales to sweeping shots of hundreds of thousands of penguins protecting their brood in the harshest climate on the planet, it’s funny, tragic, and touching, giving an informative look at these charming birds. 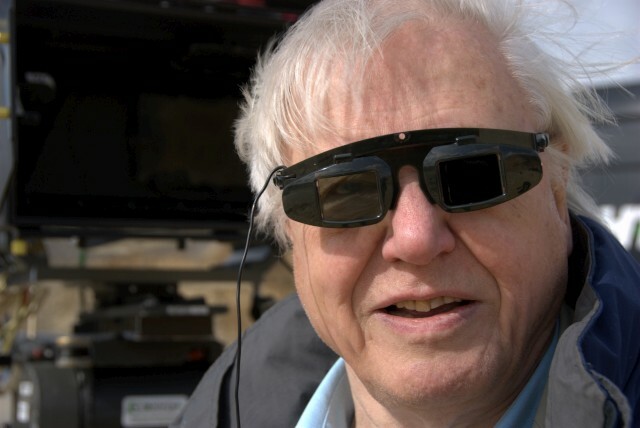 It’s the second time Attenborough has been commissioned by Sky 3D, following last year’s Flying Monsters 3D movie. But 3D natural history movies come with their own shooting challenges. “Technically it is impossible to use a long telephoto lens, the reason being that a 3D camera mimics the human eye and has two cameras close together with the same kind of separation as our own” said Attenborough. “If you shut one eye when looking at something that’s close to you, you get one view, shut the other you get another view. The brain puts those two together. “If you’re looking at something on the other side of this theatre, you would see no difference. The way that you would get a stereo image is to separate the two components further. “Broadcasting has given natural history a chance to reach audiences it never ever could before. Particularly these days, when according to the United Nations over half the population of this globe is now urbanised. This means to a greater of lesser extent, they’re living without contact to nature. “Some people wont see a single wild creature from dawn to dusk, apart from a pigeon or a rat! But it’s crucially important for our own welfare that we understand the natural world. Natural history is not just a pastime, it’s an essential part of someone’s comprehension of the world in which we live, and we depend upon that world. The Bachelor King 3D will air exclusively on Sky 3D at 8pm on New Years Eve, 31st December. It will then have a theatrical release, before returning to Sky 3D in 2012.